Have a leftover grain in your fridge? Then you've come to the right place. We love this easy fried "rice" made with Brussels sprouts & leeks. If you caught Friday’s post, then you’ve already seen the shorthand version of this recipe. I love this one because it’s an easy go-to “use what you have in your fridge” sort of thing. Especially if what you have in your fridge right now is leftover farro. 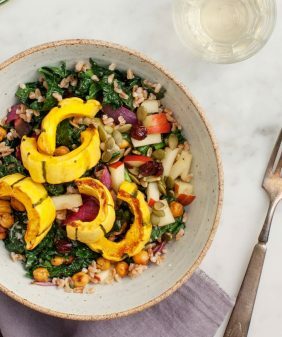 If you don’t have cooked farro in your fridge at this moment, I suggest making this hearty salad tonight, and this fried “rice” recipe tomorrow. You’ll be halfway there. 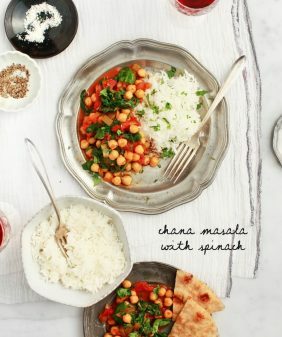 Of course, you can just make this with brown rice or white rice or whatever you have. I thought farro was a fun alternative because I just love those chewy nutty grains. Jack fried some shallots and set them aside (one of his duties around here: fry man) while I quickly sautéed leeks, added shredded Brussels sprouts and so on and so forth. 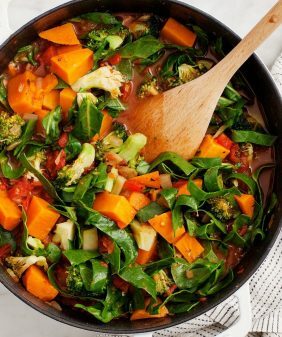 This recipe is super quick, so be sure to have all of the ingredients prepped and ready to add to the pan. After you have your shallots ready and your “fried rice” mixed up, just plate it by putting the fried rice on a plate, place a fried egg on top, then garnish with the shallots. Simple! This healthy spin on fried rice comes together quickly, so make sure you have all your ingredients ready to go before you start cooking! This looks great! 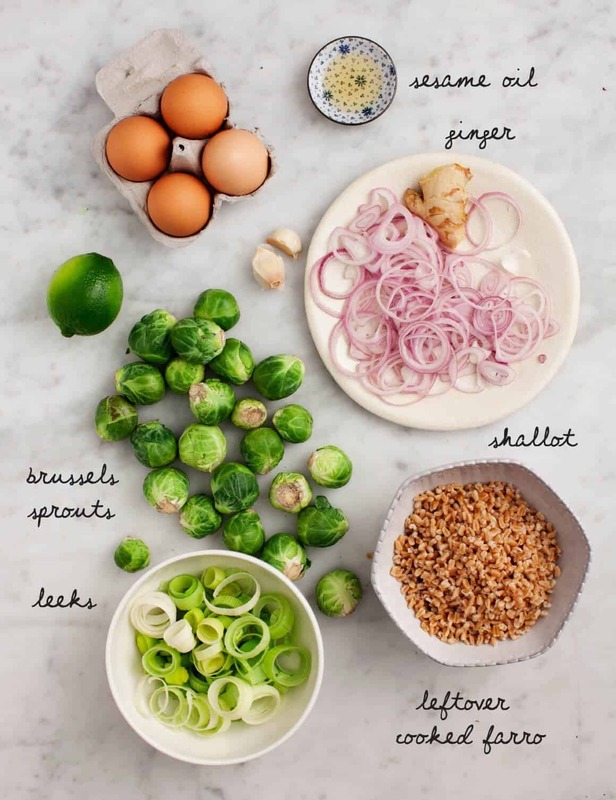 I was wondering about the Brussels sprouts from the last post. Fall school vacation starts this week and I need lunch ideas. This looks so simple and amazing! 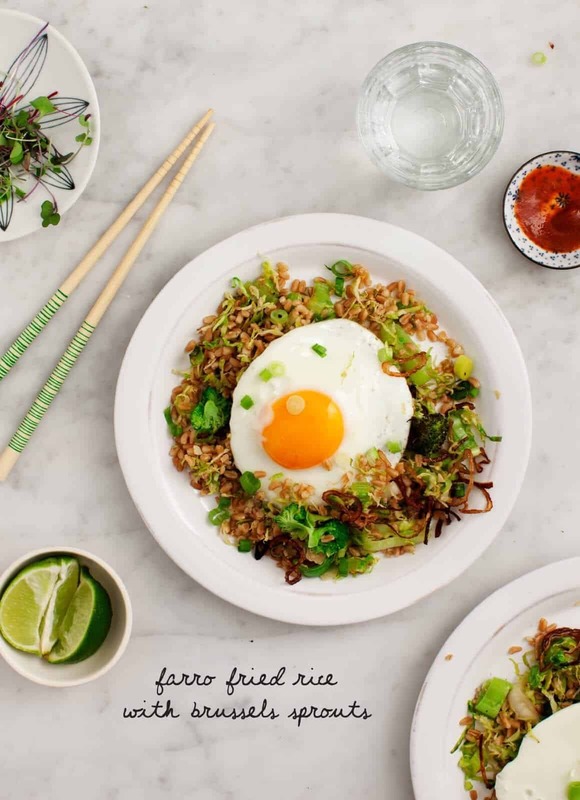 Farro is one of my favorite grains so I cannot wait to try this. 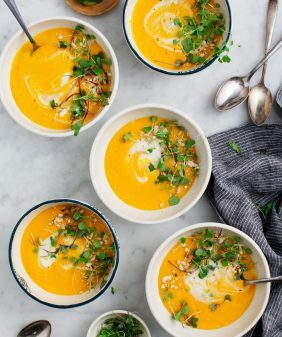 Such a beautiful and complete bowl of nutrition…happy feasting! I don’t know if you’ve already seen it, but on this video of NPR’s All Songs Considered Tiny House Concert they are filming this really cute tiny house and the owner has your book on display. PS: sorry if it’s non-recipe relatable. also, love your blog! I tried out your meal planning tip post and made the farro in advance for the salad. I ended up using 1/2 cup less than this recipe calls for but it turned out great! Super quick and easy. I bought the quick cook 10 minute farro from trader joes as well as the pre-shredded brussels sprouts. Paying a little more and having bought the veggies pre chopped save me some time and dishes. Will be making this again! My parakeet loves brussel spouts. Can’t get enough. 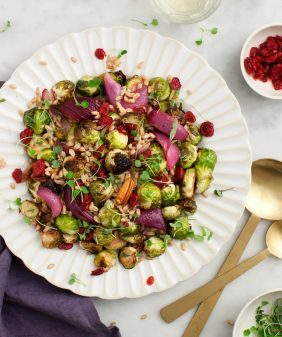 I’m a big fan of stir frying leftover brown rice with lots of greens and a little soy sauce and then topping the whole thing with a fried egg, using farro in place of my rice sounds like a delicious twist on one of my favorite meals and I just love Brussels sprouts every which way, yum! There’s nothing I love more than a good fried rice! 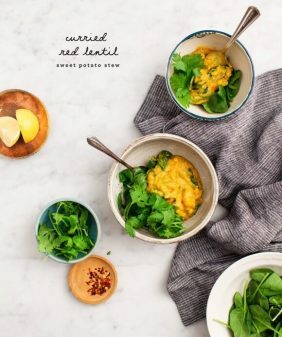 I’ve never tried farro and this looks like recipes I make all the time, so it’ll be interesting trying this. I would probably roast my Brussel sprouts and cut them up into larger pieces though, but just because they’re my favorite! Looks good can’t wait to taste it!!!! If I cant find leeks in the market, what should i substitute ? Hi Rachel, I’d use scallions (green onions) – 1 small bunch (about 4 or 5). Hope that helps!